One of the biggest cities in Japan, Hiroshima is a sprawling port city with over a million inhabitants that draws millions of visitors each year. It features a ton of historical landmarks, keeping you busy during your entire trip. Besides deciding what to do, you’ll need to decide where to stay in Hiroshima. The city, although spread wide, is quite easy to navigate for travellers as many of the top things to do & see in Hiroshima are wedged within the city centre. Not sure where to lay your head down? You can find the right accommodations with this quick guide to the best places to stay in Hiroshima. While you can easily get around the city on foot or via public transport, it helps to choose your accommodations near the destinations on your Hiroshima itinerary. Hiroshima is home to several major attractions including the Hiroshima Peace Memorial, the site of the atomic bomb blast from World War II. It’s also a modern city with towering skyscrapers and a vibrant entertainment district. 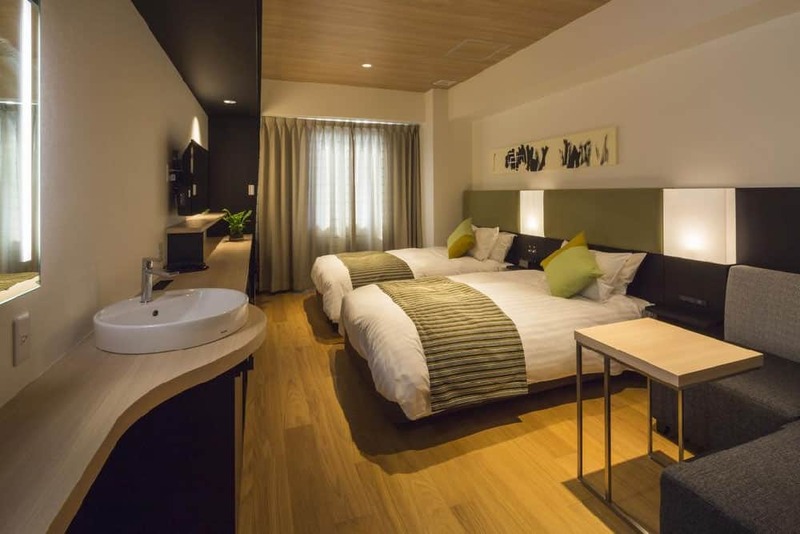 You should think about some of the spots that you want to check out as you compare the following best hotels in Hiroshima. If you want to save your money for souvenirs, the Hiroshima Washington Hotel offers the greatest value. It’s got affordable rates for quality accommodations. Depending on the location of the room, you may also get a panoramic view of the city from your hotel room. The hotel is located conveniently close to the Hatchobori Tram Station, which is just a five-minute walk from the Hiroshima Washington Hotel. You can take the tram to nearby attractions, including Hiroshima Port. You’re also just a short walk from Hiroshima Castle and the Hiroshima Peace Memorial Park. 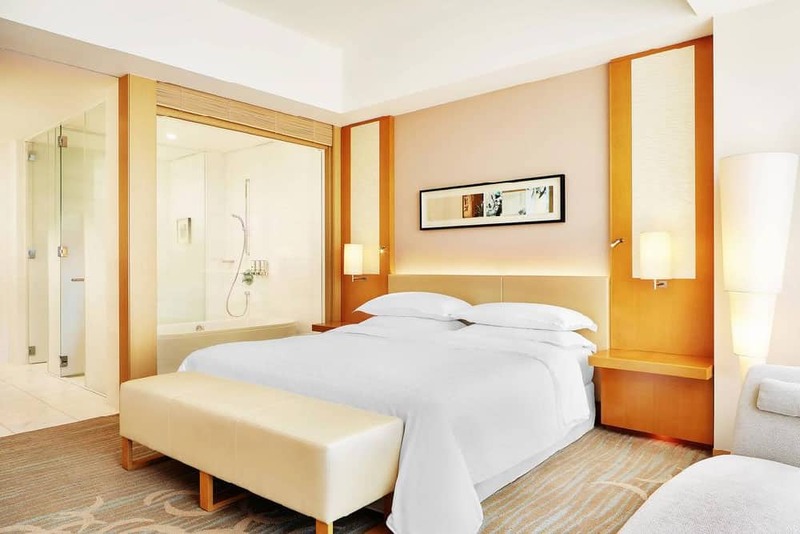 The hotel itself offers clean, spacious rooms where you can rest between checking out the various sights. These rooms also include modern amenities. You get a flat-screen TV, mini-fridge, and an electric kettle. It’s also a great place to start your day, thanks to the breakfast buffet that features both Western-style and Japanese dishes. 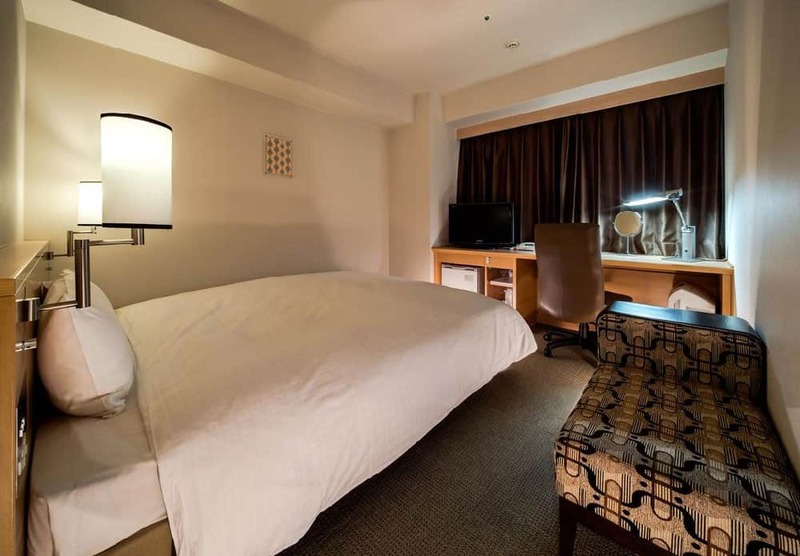 Located within walking distance of the Hiroshima Atomic Bomb Dome and Memorial Park, the Rihga Royal Hotel Hiroshima is a convenient place to rest. They have a 24-hour front desk, ensuring that someone is always available to cater to your needs. The rooms provide a great view of the surrounding area. They are also a bit bigger compared to the typically cramped Japanese hotel rooms. You can relax in comfort with air conditioning or enjoy a hot shower with surprisingly powerful water pressure. When you’re ready to fill your stomach, you can simply walk downstairs to the Rihga Royal Hotel Hiroshima diner, which offers great food in a buffet-style setting. Food is available all day and includes Japanese, French, and Chinese cuisine. The only drawback is that you need to pay an extra fee to swim in the pool or visit the fitness center. This fee does help cut down on the number of guests, however, so you won’t need to battle to use gym equipment or swim laps. 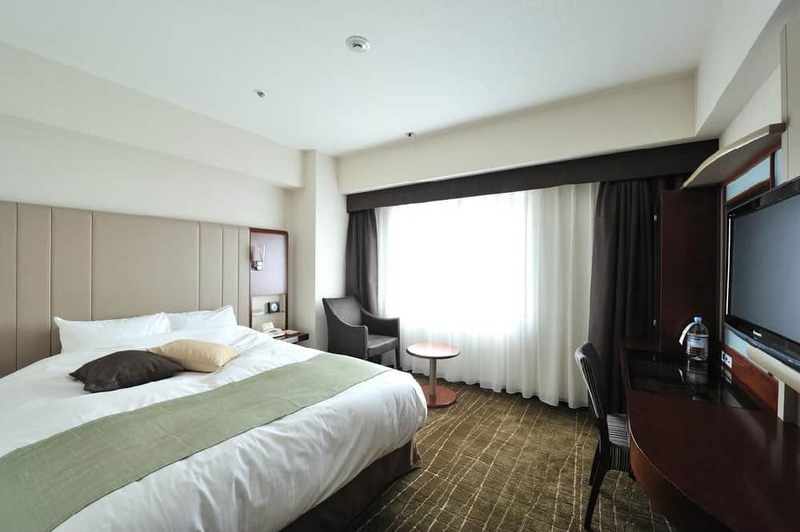 While it’s not within walking distance of all the sights of the city, the Sheraton Grand Hiroshima Hotel is just a one-minute walk from Hiroshima Station. You can easily get on the train and travel to any of the nearby attractions, including the Atomic Bomb Dome. You get so many luxury amenities at the Sheraton Grand Hiroshima Hotel that you may not want to leave. The clean, well-furnished rooms include mini-fridges, flat screen TVs, DVD players, and a bathtub. You can also enjoy the pool and fitness center for an added fee. People love this hotel due to its luxurious rooms. It’s also a convenient spot to start your sightseeing tour. When you walk out of the hotel, the station is just to the right. You can also get helpful directions from the staff, who will gladly point out the best undiscovered spots in the city. 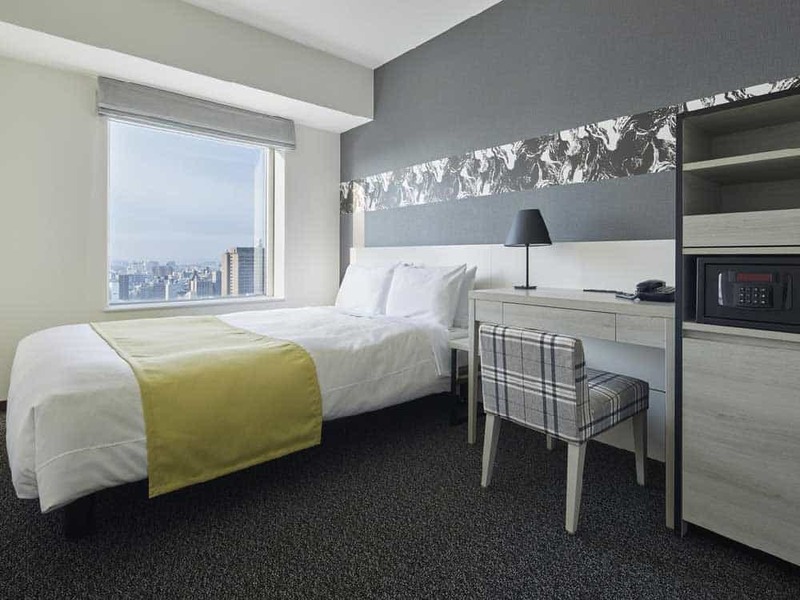 For a fun-filled stay in Japan, you need to rest your head at the Hotel Granvia Hiroshima. It’s got karaoke rooms, a gift shop, and it’s connected to one of the train stations. The rooms are a little small unless you get a luxury suite. Keep in mind, however, that small rooms are typical in Japan. Dining is one of the best features that the Hotel Granvia Hiroshima has to offer guests. You can choose from six different restaurants that are connected to the hotel, including several highly-rated locations. The hotel also has their own buffet-style restaurant. For a view of the city, you can grab a bite or have a drink at the Sky Restaurant and Lounge located on top of the hotel. While the Hotel Granvia Hiroshima is connected to a train station, it’s a bit of a trip to nearby sites. It takes about twenty minutes by train to reach the Hiroshima Memorial Peace Park and ten minutes to get to Hiroshima Castle. 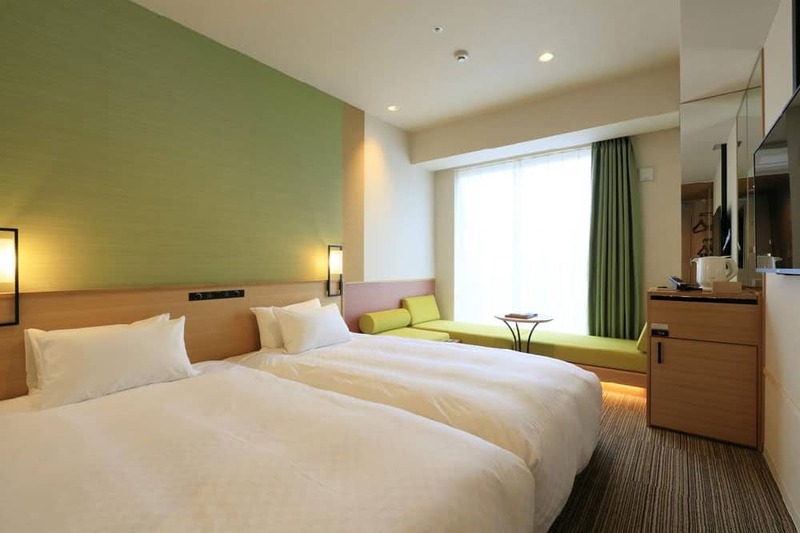 Conveniently located in the heart of Hiroshima, the Candeo Hotels Hiroshima Hatchobori is a top choice for those who plan to spend most of the trip visiting local attractions. While the rooms are more than adequate, the best feature of the hotel is its location. You can walk to the Atomic Bomb Dome and Memorial Peace Park. You can also reach Hiroshima Castle without needing to take public transportation. Getting around the city is easier when you’re located in the center. The staff at the Candeo Hotels Hiroshima Hatchobori also ensure that you start off your day right. They serve a filling breakfast in the hotel restaurant, allowing guests to choose between Eastern and Western foods. The hotel also has their own onsen. You can rest your weary bones in the hot, bubbling water after a long day of sightseeing in Hiroshima. 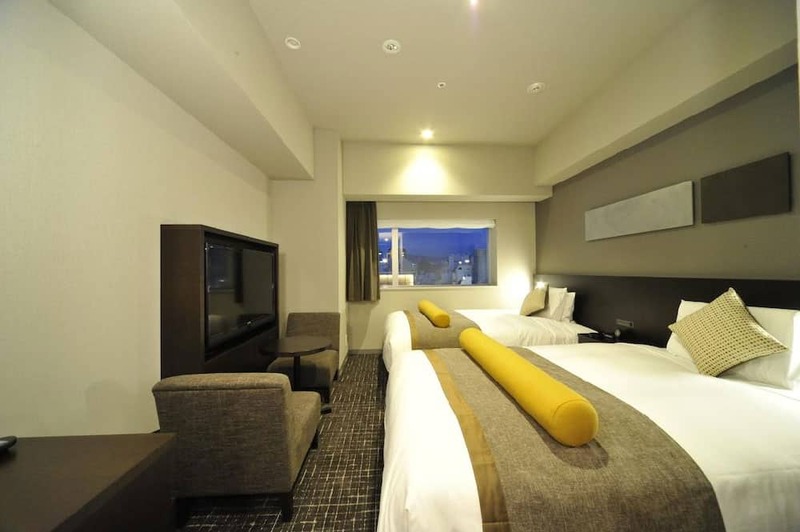 Another location that provides quick access to the surrounding sites, the Hotel Vista Hiroshima is a popular choice for visitors. It is less than a mile from the major attractions, including the Hiroshima Green Arena. While the hotel is located in the center of the city, it’s a quiet spot that offers a reprise from a busy day. The rooms in the Hotel Vista Hiroshima are spacious, which is always a welcome feature. It’s also one of the newest hotels. The rooms, lobby, and hallways all look brand new and clean. Like most new hotels, the staff is extremely friendly and helpful. Some people complain that there are not a lot of options on the hotel breakfast menu. Keep in mind, however, that you’re just a stone’s throw away from some of the best dining in the city – not to mention delectable street food. You don’t need to stay in the center of Hiroshima to have a good time, thanks to the Grand Prince Hotel Hiroshima. 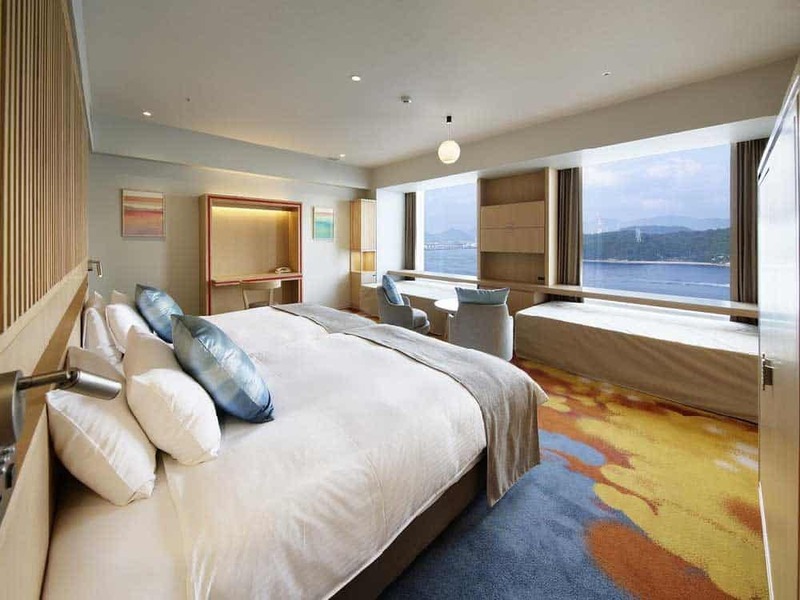 The hotel is about a fifteen-minute drive from the heart of Hiroshima and provides an unobstructed view of the Seto Inland Sea. There is plenty to keep you occupied during your stay at the Grand Prince Hotel Hiroshima. You can choose from five different dining options, including the Nadaman Restaurant. Located on the twentieth floor of the hotel, the restaurant gives you a clear view of the surrounding cityscape and sea. You also get all the conveniences of luxury accommodations. You can hang out at the hotel bar, go for a swim in the pool, or get a massage. They even have a salon, spa, and a sauna. With these features, you may forget to take the train to the nearby attractions! If you’re interested in shopping, the Daiwa Roynet Hotel Hiroshima has you covered. You can walk out the front of the hotel and within minutes you’re surrounded by shops. The hotel is located in the middle of the biggest commercial district in the city. 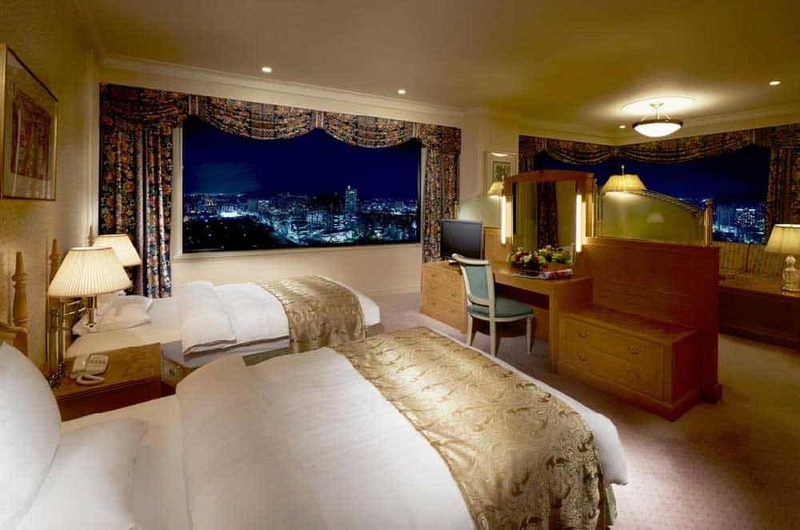 Depending on which way your room faces, the Daiwa Roynet Hotel Hiroshima also provides views of the city or the sea. When you’re done staring out the window, you can take a short walk to the Memorial Peace Park or the Hiroshima Gokoku Shrine. You can also quickly reach the JR Hiroshima Station and travel anywhere else in the city. During your stay, you never need to worry about going hungry. The hotel has its own 24-hour food store. When you get the late-night munchies, simply head downstairs and pick out a snack. The goal of the staff at the Mitsui Garden Hotel Hiroshima is to make you feel like you’re at home. It’s a lovely hotel with access to the Memorial Peace Park and main train stations. Bookings fill up quickly, so you should book as early as you can to lock in your travel dates. While people often review the rooms, the best part of staying at the Mitsui Garden Hotel Hiroshima is the food. You can dine on French cuisine while overlooking the city at the Confrere Restaurant. There are also traditional Japanese restaurants, a large breakfast buffet, and incredible coffee to help wake you up for a busy day of sightseeing. When the day is done, you can relax in your spacious room with its own fridge and private bathroom. It’s a luxurious hotel with plenty of modern amenities.